Purely Penzance is the one stop guide to this vibrant yet historic town. Written by locals, updated regularly, independent & completely free to use. This allows us to give you an impartial and honest representation of life in the town. retailers to large chain stores. We have created a shopping directory on the internet, with weblinks & contact info. tasty takeout food. Get all the information & menus right here. Penzance is situated in the heart of Mount's Bay, overlooked by the beautiful St. Michael's Mount, in a natural harbour on the very Southwest tip of England, UK. 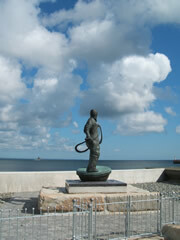 The town is the tourist, economic and transport hub for West Cornwall. 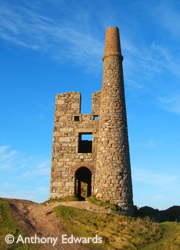 The road, rail and air links surrounding Penzance make it the ideal base to explore the beautiful area of Penwith, the tip of West Cornwall. With scenery ranging from wide open moorland dotted with ruined chimney stacks, to the finest beaches on offer in Britain, your sure to enjoy your visit to Penzance & West Cornwall. 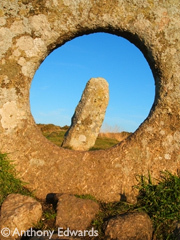 To find out more information on tourism in the area, suggested attractions and must see sights, be sure to visit the Purely Penzance tourism section.